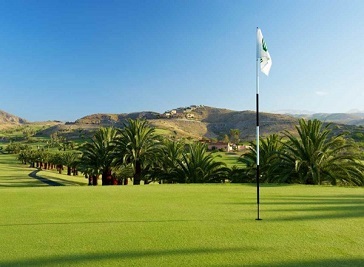 Gran Canaria boasts eight magnificent golf courses that are spread out over its territory. These courses were designed by professionals and experts. Here, you will find golf courses that are veritable oases of tranquillity, where you can enjoy the calm and peacefulness that you need to improve your game, or simply to play your favourite sport. Golf tourism finds a perfect scenario in Gran Canaria with the great weather enjoyed on the island. The finest weather adds to the island’s strong golf tradition, born back in the 19th century with the opening of the nation’s first golf course in Gran Canaria, in 1891. Six generations on, Gran Canaria remains a firm choice as a golf destination for thousands of Europeans. Many years have passed since the opening of the original golf course, the first in Spain, enjoyed by tourists who came to Gran Canaria seeking the island’s warm winter. 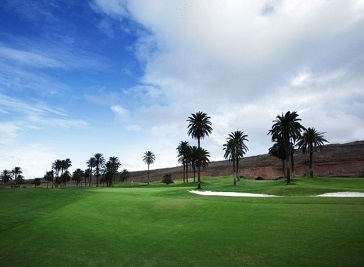 Golf has now become a popular sport in Gran Canaria with courses all within a very small radius. It is the only Resort in the Canary Islands with 36 holes and 2 courses, The NEW &OLD (Norh&South), the most modern practice space for Golfers, the Club Fitting Performance Center, which includes Services like Golf Academy, Taller, Trackman System and TPI, the Practice Mile and a 5*Sheraton Salobre Golf Hotel. This 18-hole Par 72 Parkland course was designed by Blake Sterling and Marco Martin of Global Golf Group. It has six lakes and over 600 palm tress. The greens can be very fast and hard to read. 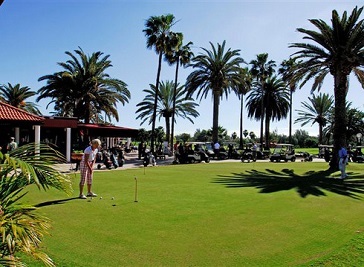 Located in the south of the island on the sea shore, next to the Maspalomas Dunes, This flat and extensive 18 holes Golf course has long and wide fairways.